Diary Farmers of Canada (DFC) is the national policy, lobbying and promotional organization representing Canada’s farmers living on more than 12,000 farms. DFC strives to create stable conditions for the Canadian dairy sector, today and in the future. It works to maintain policies that foster the viability of Canadian dairy farming and promote dairy products and their health benefits. We are currently seeking a Director, Government Relations & Strategic Partnerships to join our team based in Ottawa. The Director of Government Relations and Strategic Partnerships is responsible for providing advice, recommendations and leading the government affairs activities for the organization. This position acts as a liaison with our member partners for all government affairs activities. Do you love dairy products? If so, you will be pleased to hear that we offer complementary cheese. yoghurt and a variety of milk products on a daily basis! Preparing briefs, backgrounders, presentations targeted at elected and non-elected officials. Self-motivated, energetic, collaborative and proactive; a team leader who can positively and productively impact strategic and tactical goals and objectives by empowering team in a learning environment. Bilingual (English and French) is a must. Working conditions are normal for an office environment. Must be able to work non-traditional hours at times in order to meet operational needs. Travel is required to attend meetings primarily within Canada and United States. Travel should not exceed 15% of total working time. Candidates are invited to send their cover letter and resume to hr@dfc-plc.ca by May 8, 2019. 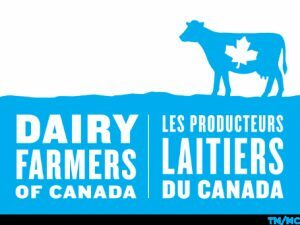 For additional information on our organization, please visit our website at https://www.dairyfarmers.ca/. We thank all applicants for their interest, however, only those selected for an interview will be contacted.